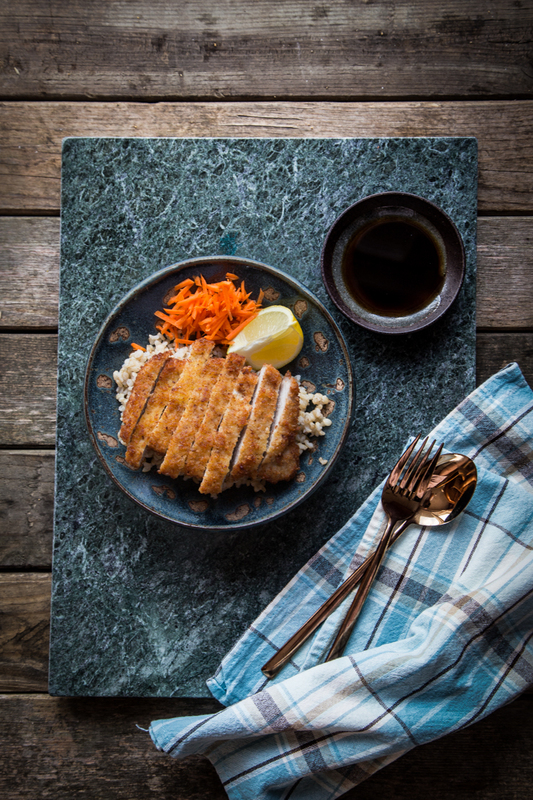 Learn how to easily make crispy and moist Japanese Tonkatsu (pork cutlet) served with tonkatsu sauce at your very own kitchen. 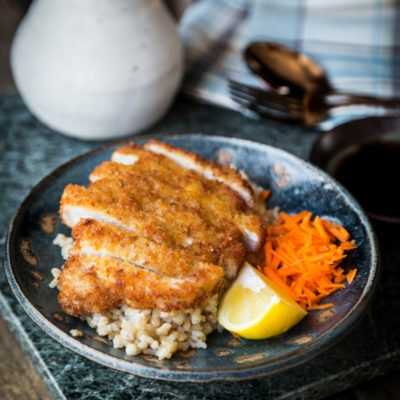 Tonkatsu is one of my favorite Japanese food. It is one of the items I used to love to order when I go to a Japanese restaurant. 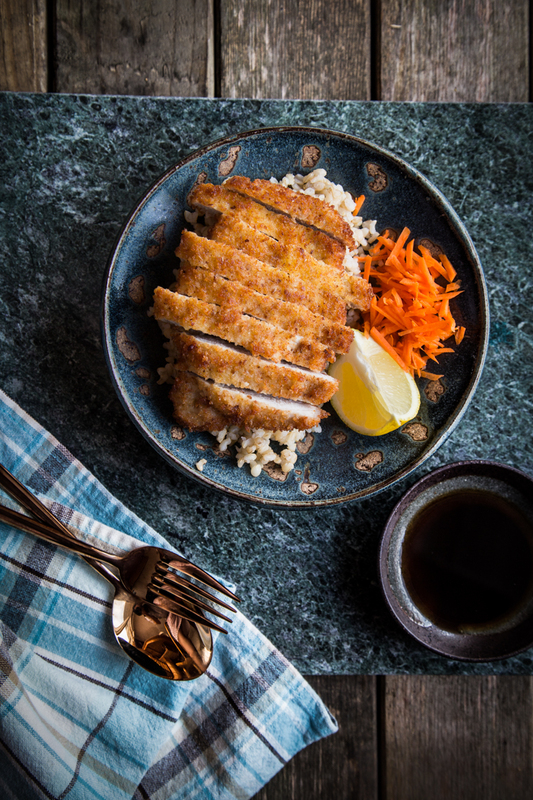 When I got a hold of Everday Harumi cookbook many years ago, I knew immediately I wanted to learn how to make tonkatsu. 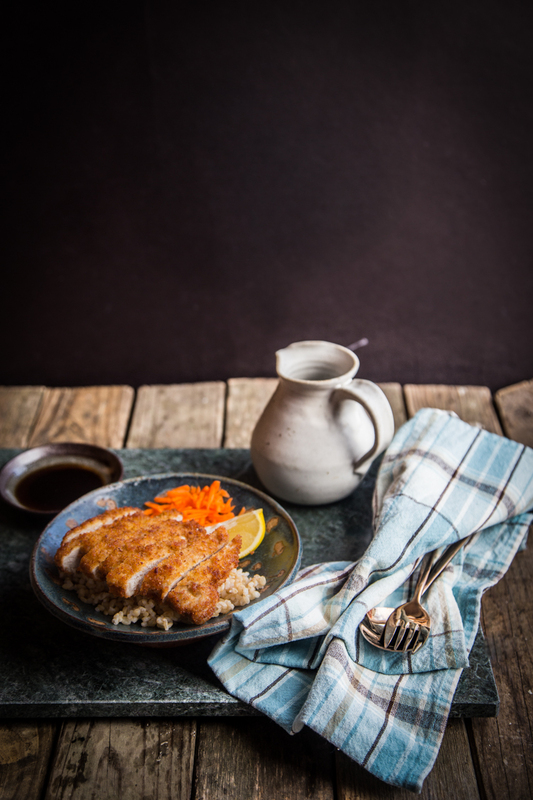 In her cookbook, Harumi shared that tonkatsu was so popular that she always made extra, in a variety of sizes, and freeze them for those occasions when she didn’t have much time to cook or she had more people to feed than anticipated. 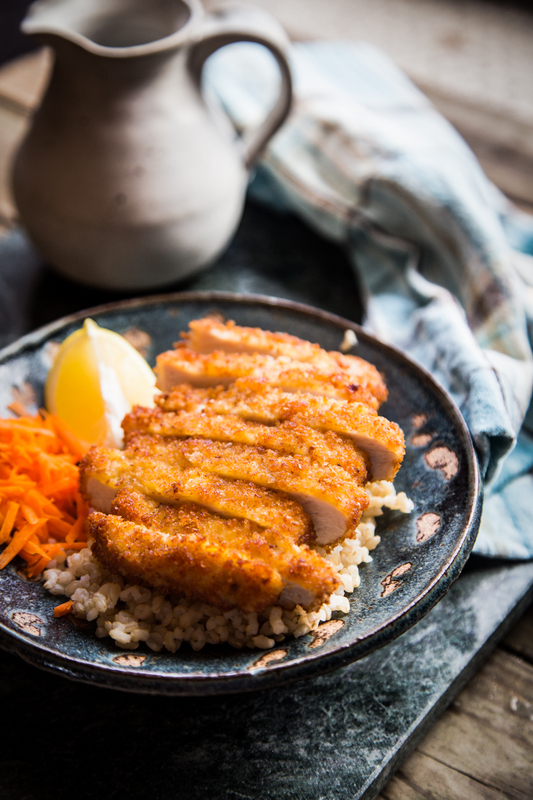 If you freeze the tonkatsu uncooked, you can take it straight from the freezer and deep fry, though the cooking takes a little longer. Harumi Kurihara shared that to make the cabbage really crisp, she likes to cut it into fine strips and soak it in iced water. 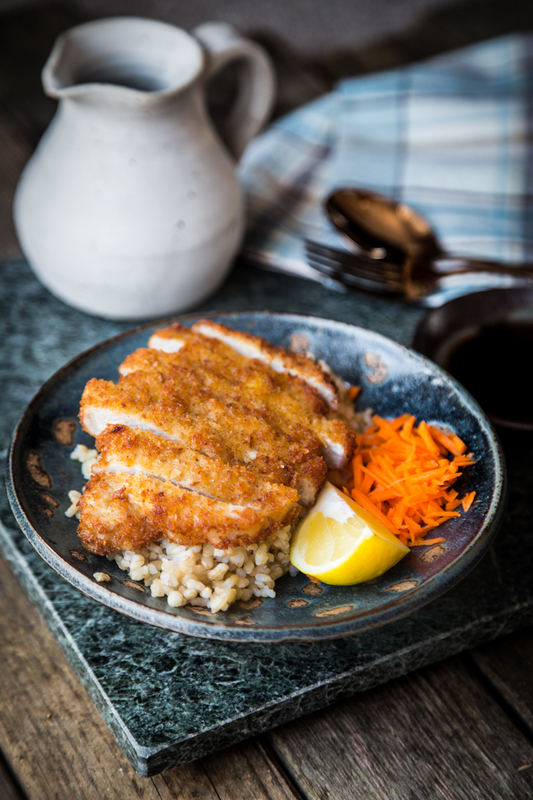 Tonkatsu is also one of my all-time favorite Japanese dish. I forgot to grab me some cabbage, which was really a bummer because I love it with shredded cabbage, mustard, and tonkatsu sauce. So, shredded carrots just had to take its place, though never the same! After making the tonkatsu, the next thing I yearned for was Katsudon, another one of my all-time favoritse EVER! 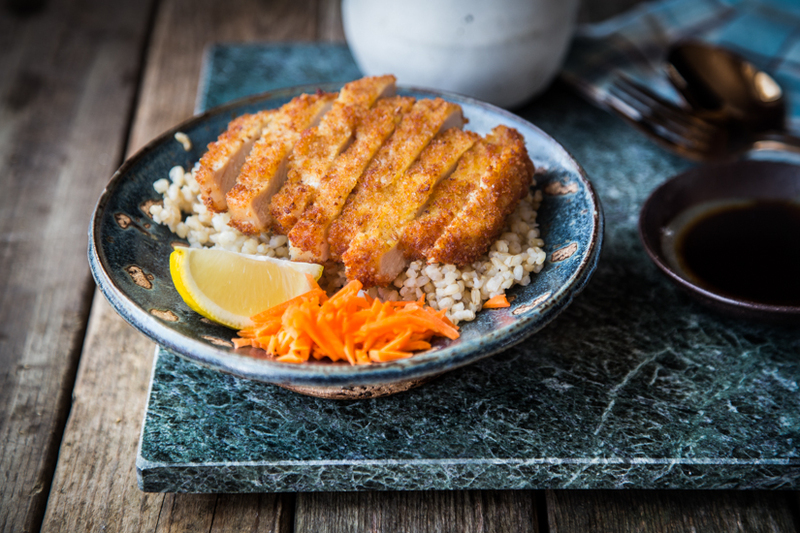 Tonkatsu or fried pork cutlet is a popular dish in Japan. 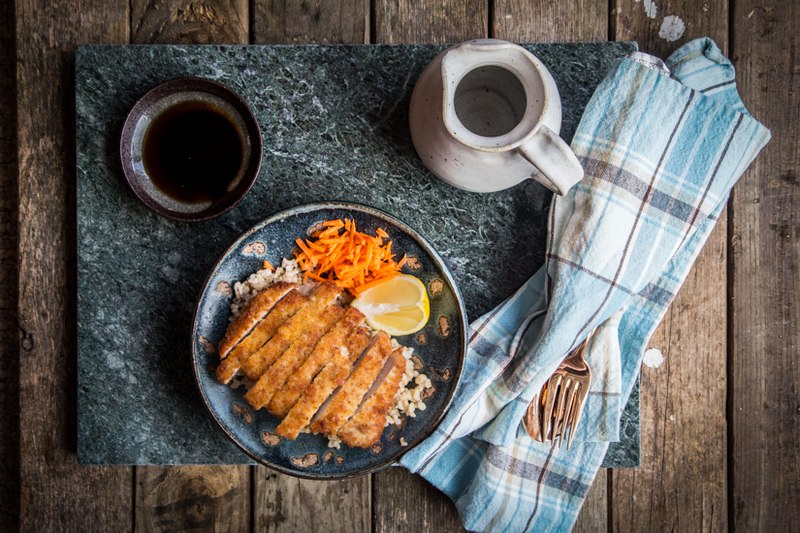 It is a breaded, deep-fried pork cutlet sliced into bite-sized pieces, generally served with sauce, shredded cabbage and/or miso soup.